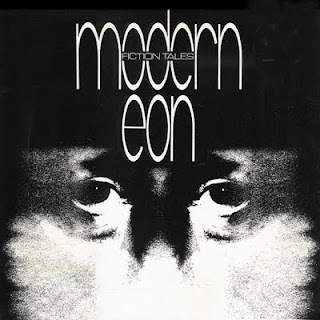 Modern Eon formed in 1979 and released a handful of singles before cutting their lone full length, 1981's Fiction Tales. The band appeared on John Peel's radio program, but misfortune soon fell upon them as their drummer, Cliff Hewitt, injured his wrist. The band did a quick tour with Cliff's tracks pre-programmed on primitive drum machines, but the band failed to record their sophomore effort, a shame, especially as they were rumored to have demoed new material. After Modern Eon's demise, sax/guitarist Tim Lever would join up with Dead Or Alive, who made the charts with their more new wave-styled sound.